Web services have, over the years, come to be associated with SOAP, WSDL and complex interactions. Recently, however, with advances in XML databases, the introduction of the XQuery language, the rise of XML Enabled client applications such as XForms, and Atom and AtomPub, the use of RESTful services has begun to gain a great deal of interest among developers, web architects and CIOs seeking simpler, more robust architectures for building rich web applications. Join Kurt Cagle, online editor for xml.com and O'Reilly Media and author of nearly twenty books on web development and xml technologies, as he explores XRX and the use of XQuery to build RESTful services in this 90-minute online presentation. 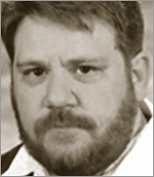 Kurt Cagle is an author, developer, and online editor for O'Reilly Media, living in Victoria, BC, Canada.